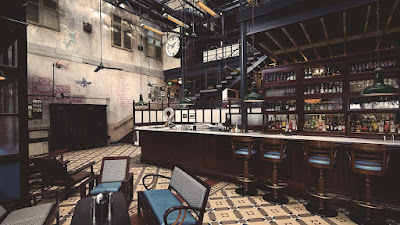 A friend took me to Dilshoom in London. 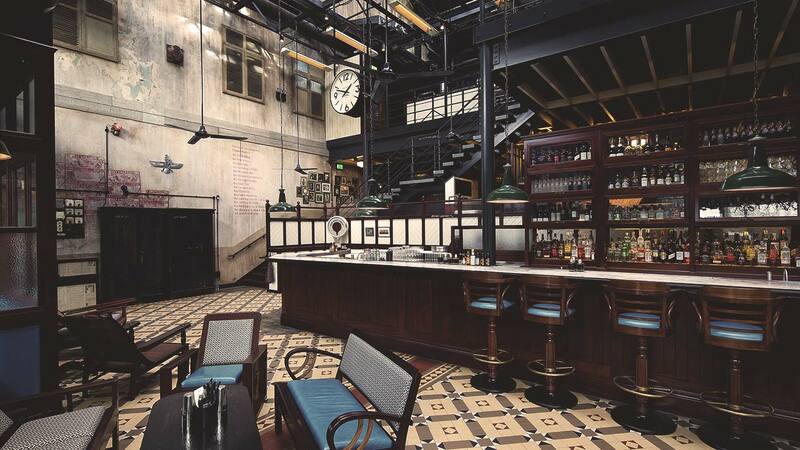 Dilshoom is an homage to the Irani cafes that in times past were such a mainstay of the Bombay(Mumbai) dining scene. He was insistent that I try the potatoes, and he was spot on. They were amazing. I stumbled across this recipe online, purported to be from Dilshoom themselves and the recipe is perfect. I can highly recommend this as a side dish to anything grilled or as a main accompanied by raita and a salad. It's vegan and if you make the raita with a non dairy yogurt you have a 100% vegan meal. 1lb/500g baby Potatoes, boiled until still a bit underdone. Raita and lime wedges, to serve. After boiling, skewer and grill the potatoes until nicely charred and cooked through. 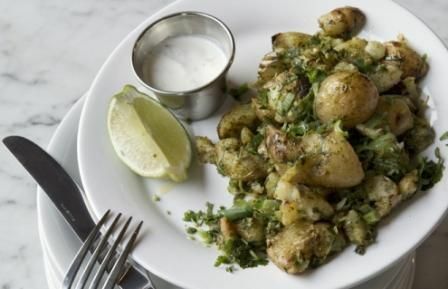 Roughly break up the potatoes and sprinkle with all of the ingredients, spices and herbs. Mix to combine thoroughly. Serve hot or cold, with raita and lime to accompany.